“Is Chick-lit “fun and romance” or about “chicks” who are “beauty with brains”? How do you think it is different from regular women’s fiction?” Join me as I ask Michele Gorman, this and many other intriguing questions about the genre of chick-lit, her best-selling book “Single in the City”, her decision to self-publish in the U.S. after getting launched by Penguin in the UK and things about writing and life in general. Enjoy reading! I wanted to get paid for what’s inside my head without having to go into an office… and I loved the idea of making a living in my bathrobe. I figured that because I love to read, I could be a writer, but it took many years for my ability to catch with my ambitions! I turned to chick lit out of spite. My writing background is in literary fiction and I’d just given my 3rd book to my (ex) agent, who said she didn’t like it and wouldn’t put it out to publishers. That announcement coincided with my buying my very first chick lit book. It was an international best seller. It was terrible! Frustrated, I wondered if I could do a better job, and the idea for Single in the City was born. 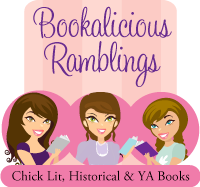 RG: Is chick-lit “fun and romance” or about “chicks” who are “beauty with brains”? How do you think it is different from regular women’s fiction? To me, chick lit is an extension of the relationships we have with our friends. The early chick lit writers captured an important part of our lives in prose, giving us characters we cared about because we “knew” them. They are our sisters, friends, cousins, mothers, daughters and friends and enemies. They amuse us and frustrate us and show us their flaws and their triumphs. The genre has grown around this kind of character. Now there is a blurring between chick lit and women’s fiction in terms of how they are marketed. In the UK, most fiction written by women is marketed with illustrated pastel colours (which gets many writers mad). In the US, women’s fiction and chick lit seem to be marketed with photographic covers, so I am not sure how readers are supposed to differentiate between the two. I think it is confusing. To me chick lit and women’s fiction are different – chick lit is a sub-genre within women’s fiction. 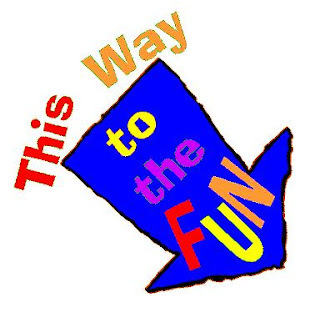 I think it’s supposed to be light and fun, although maybe I just think that because that is what I write! I would like to see clearer branding, so that we can tell the two apart. RG: In majority of chick-lit, the character of hero is limited or sometimes half-sketched, do you think it affects the overall depth of story or it is no biggie? Since chick lit is not meant to be character-driven fiction, you would not expect a lot of deep description about the characters. It is plot-driven fiction and is meant to race along. For this reason, I do not put a lot of character description into my books. But, and this is a big but, as writers we have an obligation to give the reader a fully-formed character. This is true in any genre, not just chick lit. That may manifest in deep description as you find in character-driven fiction. In the case of my books, I write an entire character study for each character before I start the book. I know what their home life was, what foods they like/hate, when they first fell in love, which books the like, etc. Most of this never gets into the book explicitly but it’s necessary so that I know how the character will react in the situations I put her in. That way I ensure that she never acts out of character. So the formation of characters in chick lit is more subtle. RG: What is the book “Single in the city” about? 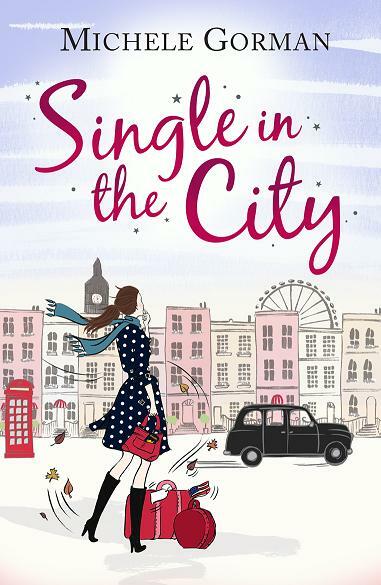 "Single in the City" is about Hannah, a 26-year-old American who moves to London on a whim, only to find that she’s completely ill-equipped to live there. She faces constant cultural misunderstandings as she tries to build the new life she is dreaming of. It’s a universal story, a fish-out-of-water tale about trying to fit into a new place, and we’ve all been in Hannah’s shoes, whether moving to a new city, or country, starting college, a new job or trying to fit in with a boyfriend’s (sometimes odd) family! Many would argue that I am Hannah, since I moved to London 15 years ago and faced many of the same funny situations. But I’d probably be Sam in “Single in the City”. His personality is much closer to mine than Hannah’s. I always say that everyone and everything is fair game! The ideas come from things I see, do, read about and experience. I might take one person’s nose, another’s hair, and a third person’s optimism to create a character. In terms of the storylines, they come straight from my imagination, though often a spark of something in real life will kick them off. As a child I was accused of lying because I rarely saw a situation that I could not embellish – now I get to call that fiction writing. 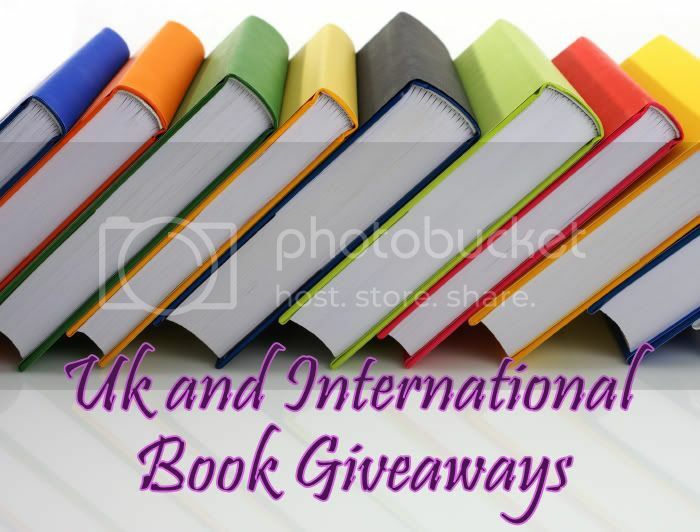 RG: How was it to get a publishing deal from Penguin for UK? It was wonderful! My agent here in London is superb and worked very hard to get Single in the City in front of the right editors at all of the big publishers. My editor at Penguin (Lydia Newhouse) fell in love with the book and made an offer within 48 hours, which is very fast. I had a great experience with Penguin, from the acquisition right through to the distribution and marketing. RG: Can you give writers some tips on how they can pull in big publishers and a nifty deal for their book? It’s all about timing. You’ve got to have the right “product” in front of the right editor at the right time in the market. The book has to be as perfect as you can make it before you submit to publishers, because you’re only going to get one chance to get it read by the editor. 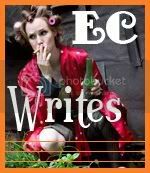 The editor has to be looking to acquire new books and she’s got to love your writing style and clearly see how your book can be successfully marketed (this is where an excellent cover letter is necessary). And it’s got to be the right time in the market for your genre and story. In some ways it’s a numbers game. My advice is to keep at it, don’t let rejections stop you because all of the things I just mentioned have to be right for a book to be acquired. Often a rejection isn’t a judgment about your book’s quality, it’s because of one of the other factors. And in terms of the big publishers, a good agent is usually necessary. RG: What role do you think a good agent can play in making right decisions about marketing/publishing of a book? A good agent is your writing partner. Her role goes way beyond just putting your book in front of publishers. For example, my agent and I make decisions together about what I write next, and how my stories develop. This is because she’s got the commercial perspective and I have the creative one (although she’s creative too and is instrumental in helping me develop storylines). My advice to all aspiring writers is to get a good agent. And by ‘good’ I mean one who loves your writing and believes in it, who will help you develop your writing and your career, and one who you can see yourself being with for the rest of your writing life. It’s a lot like a good marriage! RG: Why did you decide to self-publish your book in US? "Single in the City" was a best seller in the UK, with much thanks to Penguin’s excellent sales and marketing teams. I thought that the story, about an American moving to London would be an easy sell to a US publisher. But the publishers we approached didn’t think that American chick lit fans would ‘get’ the humour because the book was set outside the US. I disagreed with this judgment, which I saw as much about American chick lit fans as about the book. Trying to fit into a new situation, and the cringe worthy humour that entails, is something we’ve all faced. So my agent and I decided to self-publish in the US, to bring the book to American chick lit fans. RG: Do you have any upcoming books/projects? Will it be chick lit or some other genre? I’m glad you asked, because I’m very excited about the next project! Without spoiling "Single in the City" for those who haven’t yet read it, I’ll be writing a follow up to Hannah’s adventures. But the really exciting part is that I’m asking readers to help me. I want to write an interactive book in which readers get to help decide where storylines go and how characters develop. I want to connect with as many readers as possible, so I am asking everyone to send me a facebook request (www.facebook.com/michele.gorman3) or get in touch on twitter (@expatdiaries) or through my website (www.michelegorman.co.uk) because in the next few months I’ll start posting parts of the sequel as I write it and ask readers for feedback. I hope everyone will join me! Be able to summarize your book in a sentence. This is the 30-second pitch and if you want to get published, you’ll be asked for this over and over. Start writing the synopsis before you write the book, and develop it as the book develops. We all hate doing this, so you are not alone, but like the 30 second pitch, it is necessary to publish and if you don’t do it you could write a book with no storyline. This sounds implausible but believe me it happens. I know because I did it with my first book. Important lesson learned! Have fully-formed characters that the readers care about – they can love them or hate them, but they must care what happens to them and wonder whether it will all turn out okay in the end. Dramatic tension is critical, even in light and fun chick lit. Write even when you do not feel like it. It is better to have 500 words that aren’t great (you can always edit) than to stare at a blank page. Let others read your work before sending it to agents/publishers. As writers, we are very close to our books, often too close. An outside perspective will help you see where the story is weak so that you can fix it. 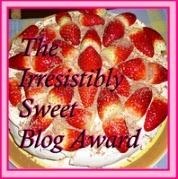 Absolutely – blogs are the book-loving friends who help us decide what to read next. There is a market for both. Despite having just launched “Single in the City” as an eBook in the US, I do not yet have an eReader! I like paper books, although I see a Kindle in my near future. The rise of the eBook market has allowed self-publishing to take off, and that is a very good thing because it gets lots more books out to people who may like to read them. 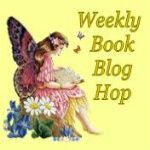 This is where blogs are important too – with all the books now being published, they can help point to books that might otherwise get lost in the crowd. Around 9 years ago (after writing my first book… with no storyline) I decided that if I wanted to be a writer I needed to devote some work days to it, so I went part-time at my job. I still work 3 days a week for a company, and write 2 days a week. 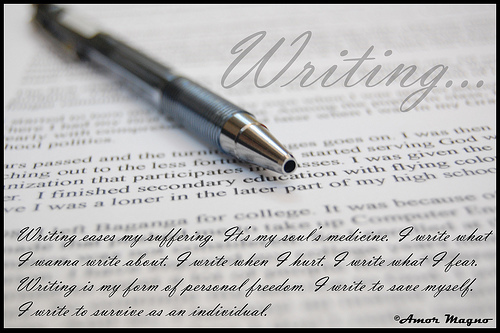 This makes it (relatively) easy to balance writing and social time, because I see writing as a 9-5 job. It just happens to be a job that I love. RG: Among other author’s books, any character that you could relate to and you will always remember? What was the character about and how could you relate to it? Those are two different questions! I relate to the characters that India Knight creates. She creates accessible characters with a constantly running internal dialog. I usually have an internal conversation going on about what I am doing or seeing, so I relate to this. But I’ll always remember John Irving’s characters. They are weird and complex and stick in your mind. Owen Meany and Garp are two such characters. I agree, and that judgment is so individual! To me a good book is one that serves its purpose. If you want a book for escapism then fast-paced funny chick lit often does it, or a thriller if that’s your thing. If you want to be informed then maybe it’ll be a biography. For a book that makes you think then weightier women’s fiction or literary fiction might do the trick. In all cases though, a good book pulls the reader along, has well-formed characters and is one that is remembered long after you finish it. Teaching my best friend, Jim, to ice skate using his mother’s skates stuffed with newspapers, so that he could play hockey with the older boys without getting laughed at. Deciding after a weekend’s visit to Chicago to quit my job in Hartford and convince my friend (and her 3 cats) to move with me, though I had no job there. We rented a 35 foot UHaul truck, loaded it (in NYC during rush hour) with our worldly belongings including a piano, her car and the aforementioned cats, and drove through the night to Chicago. I spend free time with my boyfriend and friends, cooking lovely meals (I’m a big food fan!) or seeing films, theatre, exhibits, having walks or little cycle rides, going to the pub. The nice thing about London is that you can do anything you want here. RG: After coming from US, you have lived in UK for a long time now...which one is ultimate fun place for a single girl: US or UK? I think the question needs to be narrowed to cities rather than countries. London is wonderful although you have to get used to the fact that English men rarely approach you (this is a cultural difference), so in terms of meeting people, cities in the US are a bit easier. 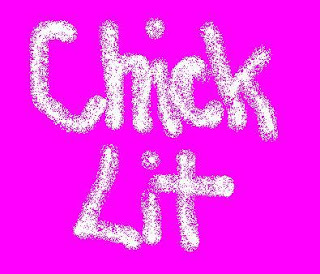 · Chick lit is... very fun to write and hopefully fun to read! RG: Thank you for your interview. It was a pleasure having you on my blog. Wish you all the best for your book. 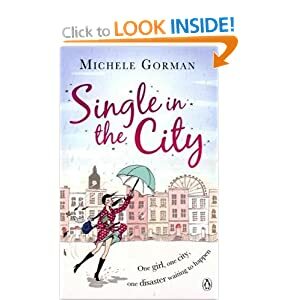 Michele is the best-selling author of “Single in the City”, launched by Penguin in the UK in 2010. In October 2011 she self-published the book in the US, after American publishers judged that chick lit fans here wouldn’t ‘get’ the humour in a book set outside US borders. It's official. Hannah has left her friends and family in the US behind and is following her dream. To live in London. Unfortunately she's completely unprepared for what's in store. 1. Her dream guy. A prince or Hugh Grant would be nice. Or does she have to settle for her half-naked Australian housemate or an "English gentleman" with terrible hygiene habits? 2. Her dream job. Something fantastic in fashion. So how has she ended up being the mini-me for an evil party planner who doesn't even trust her to arrange the paperclips? 3. Her dream friends. But everyone in London seems to have known each other for years and Hannah's having trouble getting to know nice people. Who's she going to have fun with? Do you love to read chick-lit books? If yes, who have been your all-time favourite chick-lit writer / writers? 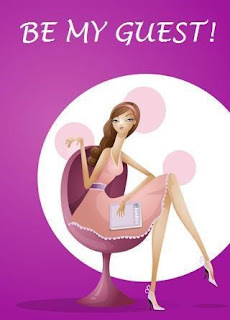 There can be many writers which you enjoy but answer this: Which is your all-time favourite chick-lit book? Why do you like it so much; is it because of the story or the main character? Feel free to share your thoughts on these questions in the comment section below. Loved this interview! I bought Single in the City because of it. I completely disagree that Americans wouldn't get the humor. I'll be sure to leave a review when I'm done. :) Thank you both for an entertaining read! I am not a chick lit fan but I thoroughly enjoyed this interview. I love the attitude to the US publishers 'If they don't like it I'll do it myself'. I hope the self published version of Single in the City blows them out of the water! 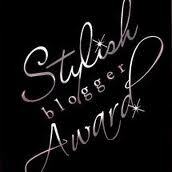 Thanks so much for having me on the blog, that was fun! 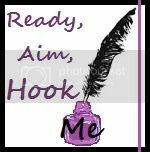 Lovely readers and aspiring writers, I'd really love to be in touch so please do pop over to the blog, or facebook or twitter! Another terrific interview, RG ;-) And I think your characterization of 'chick lit' is on the money, Michele. While I certainly understand the market-driven need for genres, I think they are, at times, arbitrary in way that lets good books slip through the cracks while books of much less merit (bad books?) 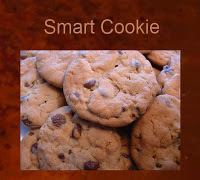 are pushed through because they fit some marketing paradigm. Good luck, Michele. You're in my radar now. Thanks JB and Deborah, for your kind wishes. I'm thrilled to report that Single in the City has just this week broken through the top 1,000 sales ranking on Amazon.com! I'm sure my smile can be seen from space. I'd love for you to come by and give me some recommendations!